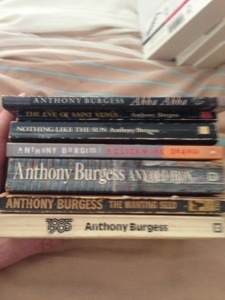 What is your favourite book by Anthony Burgess ? Maclehose Press is five years old this year .Christopher Maclehose set the press up after he left Harvil when they were sold to random house .Together with his wife he has brought us a wonderful mix of well-known writers from the world many of those in translation , established names Cees Nooteboom to newer names Marie N’diaye ,many of which have won the big prizes around the world .Here is an interview from the guardian with Christopher Maclehose about setting up Maclehose press and how they choose books . 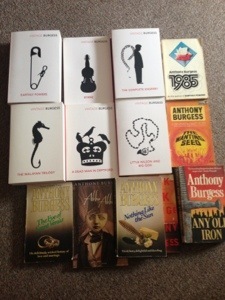 To find a book you may like here is a link to their web site which is really easy to get round .So at the end of this month 21-25 January they will spend time celebrating their five wonderful years and hopefully to many more .so I ask you to join me and post a review of one or more of their books .sign in here I’ve add the custom WordPress form . Well it’s that time of year again New years day the time to make resolutions and plans for the coming year and also a chance to look back and digest how the last twelve months have gone on the blog and reading wise for myself . 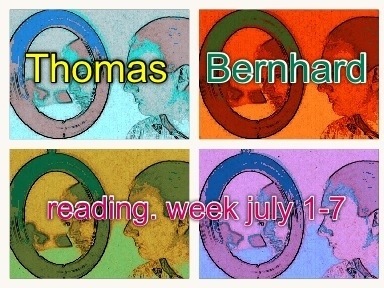 Last year was a strange one it felt for me , I drifted in my blogging. But when I got my year-end report from wordpress I was surprised what I had done and after reading Sue’s post .I thought well it was a busy year really and maybe I just relaxed as a blogger and gone with my natural flow .So highlights of last year was doing the two shadow juries the first was the man Asian one last January with Lisa in charge ,with matt ,sue ,mark and Fay .Then I took a leaf out Lisa’s book to start a shadow IFFP jury with Rob Lisa Mark Simon Tony and Gary .I loved doing both these and am at moment stuck in the middle of this years Shadow Man Asian jury .I also started Spanish Lit month with Richard to highlight Spanish language fiction from all round the world .That’s not to mention Henry Green week .I also loved joining Lizzie and Caroline in German lit month ,once again and the fact it brought a chance to enjoyed a new chunk of Germanic literature .So in looking back on my year I did a lot really, made lots of new blogging friends and help promote fiction in translation which is the main aim of the blog these days. So 2013 another year resolutions reading and blog wise ,I have debated doing a post a day and I know it be hard to keep up my job and life just isn’t able to support a post a day so my resolutions is to try to post a little more and maybe do 50 more post than last year which equates to a post every other day or so which seems achievable .I have previously tried to set reading totals but I m leaving them behind I feel my reading is at a constant level and pushing it to read more will a. spoil my enjoyment of books as I rush trough rather than saviour them ,b..do I really need to add load more books to the unreviewed pile (close to 60 books already on it ) .Another blog resolution is to try over next twelve months to clear pile of books I ve read but not covered on the blog so far ,hopefully doing a few more posts will even this out and cut the pile down .challenges I will be doing some more challenge of my own next year and joining in a few along the way I m sure I prefer month or week long challenges to year-long ones hence I ve not signed up for any this time again .So my first challenge is Tony’s January in Japan I ve one book read and currently on my second book . So a very happy new year to you one and all and may the year be a very bookish one for you . I nearly missed Emma and Guys Humbook post and thus missed chance to join in the virtually gift books to a partner for Christmas .So when I managed to get in and was chosen to be partner with Sue from whispering Gums , who I got to know via last year’s Shadow Man Asian . So one of my choices is one I think she will love and the other is one I d like to see her view on it,because when I read it I loved it and now planning a reread so be great to compare notes . this is the choice I feel Sue will love ,like I did when I read it earlier this year .It is short novella from the up and coming female Mexican writer ,A women now back in Mexico looks back on her time in New York and the fact she was working on a paper on an earlier Mexican poet ,his and her worlds blur as she starts to see him as she heads round New York .Wonderfully poetic and one I feel Sue will love she doesn’t do many translated book but I feel this is one she will really get and I know she tends to read more female writers so this is great choice . I love his works and the fact that Vintage have just reissued a number of his books including this one , seemed a great excuse to virtual gift it to Sue as she seems to read a few historic fiction novel than myself and this is in that style but the imagine life of Christopher Marlowe as a spy ,I really felt he capture Marlowe as a man trying to keep alive .I read this one when it came out it,sadly was one of Burgess last novels ,I also have another motive through gifting this to Sue ,but more about that at another time . 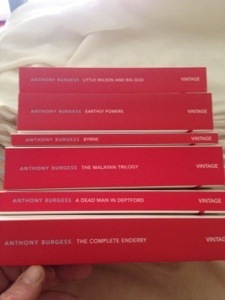 What books have you got for Christmas ? Well after reading the corrections earlier this year ,I felt I need another fix of him before the year was out ,so when this had appeared in the library system I ordered it in .So I said a bit about him in my post earlier this month so I ll add this gobbit .In his last will ,he had banned all future productions and editions of his books within Austria for the remaining length of the copyright .This dislike of the system of arts and appreciation of arts within Austria is apt for this book . While everyone was waiting for the actor ,who had promised to join the dinner party in the Gentzgasse after the premier of “The Wild Duck ” ,I observed the Auersbergers carefully from the same wing chair I had sat in nearly every day during the fifties , reflecting that it had been a grave mistake to accept their invitation . Our narrator sat at the start of the book . The arty types of Vienna have just been to the Burgtheater to see the latest production a version of the Henrik Ibsen play “the wild ducks “(Which opens as a dinner party is about to start rather like this book ) .So the arty folk all arrive at the Ausbergers house awaiting dinner and the chance to meet the star of the show .We meet our Narrator he is sat in a wing backed chair .we know this as it is frequently mentioned .The narrator is by his opinion an outsider of the group have recently returned to Vienna .So as the nights go on we see the actor ripped apart by the guests and the whole art scene in Vienna dissected piece by piece ,this is interrupted as the narrator adds his own feelings on this as well .The evening moves on and as the drink flows the arguments and observations grow stronger . At this point the actor suddenly started recounting anecdotes ,the kind of theatrical anecdotes that always go down well in Vienna and provide life support for many a Viennese party that would otherwise be in danger of dying of paralysis .Most Viennese parties are able to survive for a few hours only because of these anecdotes . I m on a break but this came my way from his American publish , great fortune as the book I d ordered from my library hadn’t turned up in time for Caroline’s Antoino Tabucchi reading week .This is the second book I have read by the late Italian writer .Antonio Tabucchi was a professor of Portuguese literature and language .He spent six months of every year in Lisbon in the later part of his life and is well-known in Italy for his translations of the great Portuguese writer Fernando Pessoa ,whom Tabucchi came across in the late sixties and then studied Portuguese to understand him better and also translate his work into Italian .Tabucchi himself published over twenty works with novels ,short story collections and Non fiction .He maybe sums himself up best in this quote . 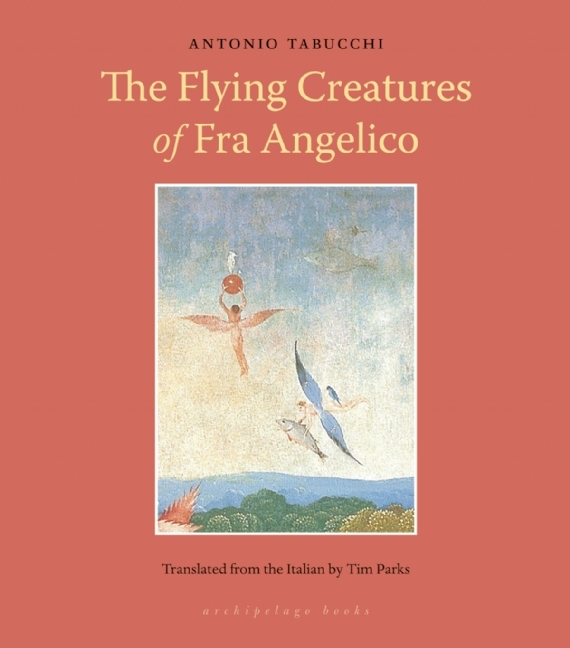 Well to this his latest book The flying creatures of Fra Angelico , it is a collection of stories ,made up letters and pieces and seems much more than its 128 pages .The title story which is also the first in the collection is about a group of strange creatures oddly coloured and shape that start to appear one by one in the garden of Fra Angelico (Fra Angelico was a 15th century friar and artist ,he is well-known for his depictions of christ .He was also sainted by the late John Paul the second ).Any way one of the Fra’s , then seems to be able to talk to these creatures . Fra Giovanni chatting to the creature . An odd story with religious overtones where are the creatures from and what do they mean ? One of those short stories that leaves you with a head full of questions .Then we have a group of made up letters clever and witty the king of Portugal asking a famous artist to paint then saying what he would love in the painting ,made me laugh ,another is a couple of letters from Tabucchi to an Indian writer that he met in Indian about his book the Indian Nocturne one of his most famous books ,also on why people from the west come to India and the Indian said there were two sorts of people .I won’t tell you what types they are you’ll have to buy the book and find out .Then back for a few shorter stories a couple having a meal ,is all it seems was one that grabbed me a clever story where not is all it seems .then the last story is maybe another pointer of Tabucchi as a person. A discussion on the number of undertakers in Lisbon ,which it appears is 16 pages of the yellow pages for that city and why this may be so .This leads to the Portuguese term Saudade . They are practising Saudade. Try imitating them. Of course it’s a difficult road to take, the effects are not immediate, sometimes you may have to be willing to wait many years. But death, as we all know, is that too. The closing lines maybe some up the book it has a feel of sadness ,death and secrets at times ,also a feel of his beloved Portugal where he spent so much of his life .I feel Tabucchi is playing with his writing styles in these little gems almost trying different styles for his novels ,but far from being throwaway they show a master of his art at work . He is often overlooked as an inventive writer for the likes of Calvino .I’ m remind of a cabinet of curios my grandparents had full of odd little pieces of ,silver ,ivory ,wooden carvings as a kid I would keep asking to look in and feel and ask about the pieces and this is like that it is a book that I will go back to reading (well pdf for now but I will get the book ) as I feel that it is a collection that will stand numerous rereading and always give you something new as a reader . Have you read Tabucchi ? I had hope to get to this over weekend but I m a day late for the lovely Lisa of Anzlitloves Indigenous week .I choose a book from the Well known New Zealand writer Patricia Grace .She is probably the best known Maori writer ,she has written novels ,short stories and children’s books .She has published seven novels ,this Potiki is the best known and won the New Zealand fiction prize . Well Potiki what is it about .Well in some ways it may be called a classic indigenous novel as it talks the clash of indigenous Maori’s in a small coastal community as the face the fact they might have to move from the tribal home to a new settlement .So we enter the village and I love the way Patricia took use through the villagers as the families as they wrestle with the idea of moving .The Tamihanas have lived there for years and are tied to the land The parents children a disable relative and the kids all tell the story ,as each chapter is a different point of view as the story of the family struggles to keep the place they call home from the hands of the developer .The are talked to by a man the call dollarman a mr Dolman who struggles to grasp why they want to stay .He wants to turn this place into a soulless place for fun ,where as the Tamihana’s want to keep it alive with the souls from the past years . There is something else to do with my five-year old story and the story of my big fish .It is to do with passionfruit vine .”vine ” and “brine ” were both new words to me then .and these words quickly recall that for me whenever I hear them . My mother Roimata had taken a passion fruit cutting from Granny Tamihana’s vine .At the time when I caught my first big fish the cutting was dry and without life ,that’s what I’ve been told . Toko talks about his family and you see the traditions . This book is the classic in the “past versus the future” argument modern society against ancient traditions .The book does descend into fighting at the end .As the two sides dig their trenches .I’d had this book on my shelves for a few years after buying it to be a book from New Zealand for the challenge that first started Winston dads journey it then sat on my shelves. So many thanks Lisa for making me read it. The book has a clever structure to it , like the traditional feel of story telling with each of the chapters in a way is like being round a fire and each member of this Maori community adding their bit to the story . 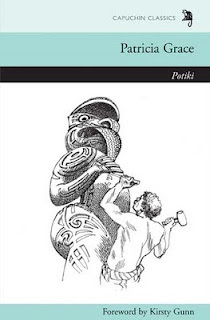 I did struggle with the frequent use of Maori words but check them on-line when I felt I need to but ,this also added to the book it is a Maori story at the end of the day and there words add to the prose .It’s nice to see a writer keeping he traditional language alive in such a way . So if you want a book that gives you a small insight into the Maori world I think this may be a good start .I seen films like when we were warriors and whale rider and this book has given me a wish to seek so more out .I can finally cross New Zealand of the list . World book night top 100 lets make it a fresh list !!! This years world book night giveaways are to be decided by us the public by choosing our top ten books .I looked at the current top 100 and have to agree with Meike from Peirene it is a bit bland and from the perspective of winstonsdad the translation choices which there are at this moment ten book are what I would call the ones people think they should read or put in a list even if they’ve not read to look good (sorry needs to be said) .I love Murakami and Marquez but some diffeernt book here would be great open peoples eyes.Well Meike has suggest if we could all choose Beside the sea by Veronique Olmi it is a lovely french gem and is one of my all time favourite reads any way ,at moment 35 votes will get it in the top 100 I ve vote so 34 would do it come on lets help the nymph and the lovely ladies of Peirene make the list ,all of us bloggers and tweeters know how much effort this publisher puts into social media and interaction with its readers more than any major publisher does .So put your hand up and say yes I want the small guy to win for once because we all love the underdogs in this country lets for once get them there ,Meike has written a blog post about this too here ,thanks stu .I will be put up for giving away this time as I was too shy to volunteer last year . 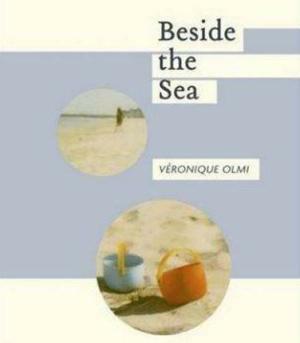 Beside the sea by Veronique Olmi – reason a french gem touching and it will make you gasp if you’ve not read it ! Rings of saturn by W G Sebald reason started my love of translation and it is a book that can be reread and still make you think . Don Quixote by Miguel Cervantes – reason the first novel it has all in it that has followed since a true master piece . If on a winters night a traveller by Italo Calvino reason I love it and I know many people hate it but who can’t love a book that talks to you ? My century by Gunter grass – reason short interlocking pieces covering the 20thcentury from the German master not his best but it is a good insight into Germany . Cities of red night by William S Burroughs – reason he was a one off writer this book has all a young guy could want from a book and men shou,ld read more ! The last brother by Nathacha Appananah – reason a unheard corner of post ww2 history jewish refugees stuck on a tropical island told touchingly through two young boys tale . Goodbye to all that by Robert Graves – reason my favourite memoir war is bad and read this you know it is ,a poets eye goes to war . Walden by Henry David Thoreau – reason if more people had read this would the world be the way it is the simple life as he spent time in nature thinking whilst living in a wooden hut . I brought Harry Mulisch’s The discovery of heaven 1992 masterpiece a while ago having enjoy another of his books a long time ago and when Harry died in October I thought be time to read him again, then I saw Iris of Iris on books has organised a read along of the book ,so I thought I d join in with Iris a blogger I really like the book was voted best dutch novel by the Dutch newspaper NRC ,here is the piece about it from the NRC ,I used google translate ,and just about got the article .Micheal Orthofer has a page on Harry Mulisch ,with links to his many reviews of Harry’s work which like always have numerous links to paper reviews .He gave it a rare A+ in his review .The book was made into a film in 2001 starring Stephen Fry as one of the two main Charcaters here is the IMDB REVIEW .this starts later this week and runs through to June when it is Dutch Literature month on Iris blog you may want join in here is a good place to start the centre of Dutch Literature in translation many great books to choose from . What dutch books have you enjoyed ? Have you read this epic book ?